UK special forces were shown for the first time operating on the ground in war-torn Syria, a broadcaster reported. Photographs obtained by the BBC on Monday and dated from June reveal UK soldiers on patrol vehicles equipped with sniper rifles, machine guns and anti-tank missiles. 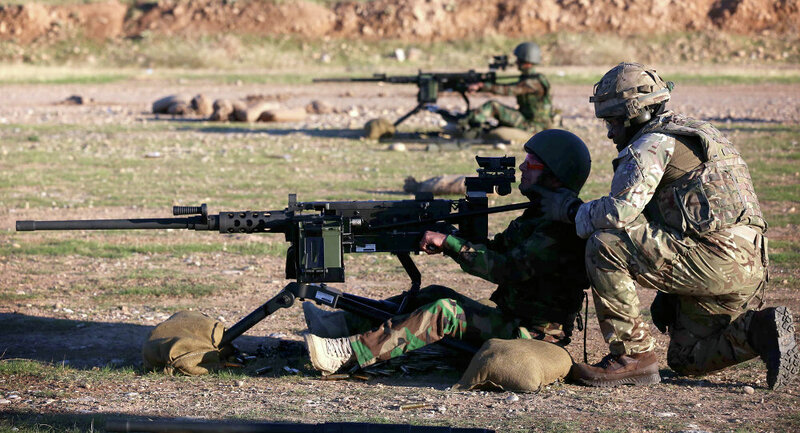 According to the broadcaster, the troops appear to be in a defensive role following an attack by the Daesh jihadist group on the so-called moderate New Syrian Army opposition on the Syria-Iraq border.The opposition group’s spokesman admitted to the BBC that the New Syrian Army had been receiving special forces training from the United Kingdom. The US-led coalition of more than 60 nations has been carrying out airstrikes in Syria and Iraq against Daesh outlawed in Russia and many other countries since the summer of 2014. However, there are currently no international ground troops officially deployed to Syria. 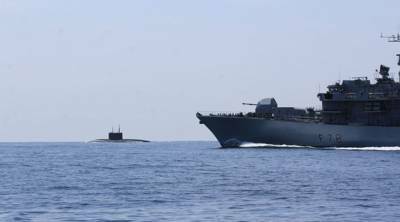 The British media gleefully reported this week that a Russian submarine had come to scare their poor little navy off the English coast. The reality, however, was far less dramatic. A mythical British newspaper headline supposedly once read: “Fog in Channel; Continent Cut Off.” Today, it’s invoked to describe events where “little Englanders” think everything is about them. Like the future of Europe or Spanish policy in holiday resorts, for instance. Not to be outdone, the Independent, in the past a ‘quality’ paper, carried a report by the (also once- respected) Press Association, which made it sound like NATO had been stretched to the limit of its capabilities in a bid to discover the clandestine Russian mission. The Indy and PA went on to reference an April 2015 incident where a trawler was dragged violently by its nets while fishing 18 miles off the coast of Ulster, Ireland. The copy inferred that there were “suspicions they had snagged on a Russian submarine.” In actual fact, it was revealed some time ago that it was actually a BRITISH NAVY submersible that endangered the lives of the fishermen. Indeed, British vessels have a history of intimidating and irresponsible behavior off Irish coasts. Let’s be honest, if this was a genuine yarn, it’d be a great story. Country sends military to scare the living daylights out of a much weaker nation a few days before a big soccer game. The problem is the the tale is complete hogwash. In reality, Putin, who surely has better things to be doing anyway, did not send an “attack submarine” to England. What actually happened was that the Russian vessel was traveling “up top” (ie. not hiding, but fully visible) and in international waters. In other words, a small child with binoculars traveling by ferry could spot it, without “a combined effort with NATO allies,” or even “Action Man” figures for that matter. Which makes one wonder about the competence of Officer Thomas and how such an obvious nincompoop ever achieved such a high rank in the British Navy. Unless The Sun fabricated the quote, of course, which wouldn’t be a huge surprise, given their past form. To make things even easier for NATO’s super sleuths, the Russian sub was accompanied by a tug boat. On Wednesday, Moscow’s Defense Ministry released a statement confirming that the vessels were moving from the Arctic to Russia’s Black Sea base in Sevastopol. Anyone with access to a map and a pencil could easily figure out that passing the English Channel, which is perfectly legal, is the fastest route. So what happened here? And why did a complete non-story become headline news in London? The presence of quotes from a serving British Naval Commander suggests that some clown in the military’s press office, probably trying to make a name for themselves, conjured this nonsense to get some attention. Sadly, however, it’s also possible that this is part of some PR campaign to promote the idea of a“Russian threat” in order to drum up support for increased defense spending. Literally “weaponizing information,” if you like. If this theory is wrong, and the formerly feared British military was really scared of a single Russian submarine, floating above the waterline, then its decline has been even more severe than most analysts believe. It’s known that the illusion of British martial competence was destroyed after their 2007 humiliation in Basra, but if things genuinely atrophied so rapidly since then, it would be shocking. Let’s get this straight. A submarine traveling “up-top,” attached to a tug, is not trying to hurt anybody. Whether its an American vessel off Mexico or a British one en route from Gibraltar. Also, if Thomas’ quotes are correct, and Britain really needed to call in NATO to spot the sub, that suggests they don’t even have binoculars these days, let alone functioning radar. On the other hand, the constant vilification of Russia in the UK media is damaging. And it continues to reach deeper and deeper depths, if you’ll excuse the pun. By treating every Russian activity as heinous and stereotyping Russians as evil doers, they destroy any chance of Moscow and London ever repairing relations. According to official UK Government statistics, only four airstrikes have been conducted by the Royal Air Force during March and the first week of April, despite the prime minister’s claims of a ‘vital’ role of the country in Syria. The United Kingdom Ministry of Defense posts monthly official statistics of airstrikes in Iraq and Syria since October 2014. According to its latest publication, only three or four air strikes took place during last five weeks. This is less than 14 strikes that took place in January or seven in February. This barely corresponds to British Prime Minister David Cameron’s claims that UK forces would play a “vital, battle-winning” role in the conflict. During that speech, Cameron specifically named the Brimstone missile system as a key strategic reason for the UK to extend its campaign into Syria. However, literally no strike has been conducted using this weapon. The official position of United Kingdom is that it sees Syria and Iraq as one single theater of war. The need to extend airstrikes in Syria is heavily debated in British Parliament and the opposition Labour Party whom Cameron allegedly called “bunch of terrorist sympathizers” who will most likely use the drop-off in airstrikes to their advantage. (FNA)- Britain’s sophisticated air-to-surface Brimstone missiles have not killed any terrorists in Syria so far, although at least nine missiles have been fired. A single missile using radar homing and laser guidance technology costs £100,000. The Huffington Post UK made a freedom of information (FOI) request to the British Defense Ministry and discovered the much-touted Brimstone missiles with promised standalone precision have not claimed any terrorist scalps yet, RT reported. After British MPs voted in favor of the Royal Air Force joining the Syria campaign in December, the expensive missiles were held back for at least the first month of operations. Brimstone’s first recorded deployment took place on January 10, the Independent reports. It was aimed against terrorist supply trucks in Raqqa. By the end of January, Brimstone missiles had been used in nine raids. “We are playing a crucial role in a campaign that will take time and patience. Using the right weapon for each scenario, RAF jets have struck Daesh [Arabic acronym for ISIL] almost 600 times,” a British MoD spokeswoman said, adding that the RAF is driving ISIL) out of Sinjar and Ramadi in Iraq and has “severely weakened” key terrorist infrastructure in Syria. According to MoD information, between December 2, 2015 and January 29, 2016, RAF airstrikes in Syria have managed to deplete ISIL manpower by just seven combatants. Two jihadists were killed with Paveway IV laser-guided bombs (US$20,000 each) and five were killed by US-made Hellfire missiles ($70,000 apiece) fired from Reaper UAVs. The British MoD insists that killing terrorists is not a primary goal of the RAF in Syria. Instead, the aim is to target jihadist infrastructure, such as oil fields under terrorist control, to disrupt and degrade ISIL military infrastructure, logistics’ routes and revenues. Yet razing stationary oil extraction infrastructure does not require expensive precision weapons – an old-fashioned drop bomb would do the job. Brimstone missiles have an 11-kilometer range and are armed with a low-powered yet “highly focused” explosive warhead. They can engage targets moving as fast as 110 km/h. That means that in theory no terrorist pickup truck with a machine-gun mounted on it can escape. However, the target’s worth is practically guaranteed to be many times lower than the price of the weapon. The combat effectiveness of the new weapon and the cost of participation in the Syrian campaign urgently needs objective evaluation, according to the Scottish National Party (SNP) MP, Alex Salmond. As the party’s international affairs spokesman in Westminster, he said the Huffington Post’s findings “contrast dramatically” with David Cameron’s previous argument. “It is now the common practice of this prime minister to mislead the country into military engagement and then to only devote a passing interest towards these crucial issues as his case crumbles before our eyes,” Salmon said, stressing that he has “no doubt” that Libya is going to be the “new crucial theater of engagement” once again. The only operators of the Brimstone weapon are the United Kingdom and Saudi Arabia, which is not only playing a role in the US-led anti-ISIL coalition, but has also announced the creation of an anti-terrorist coalition of its own. 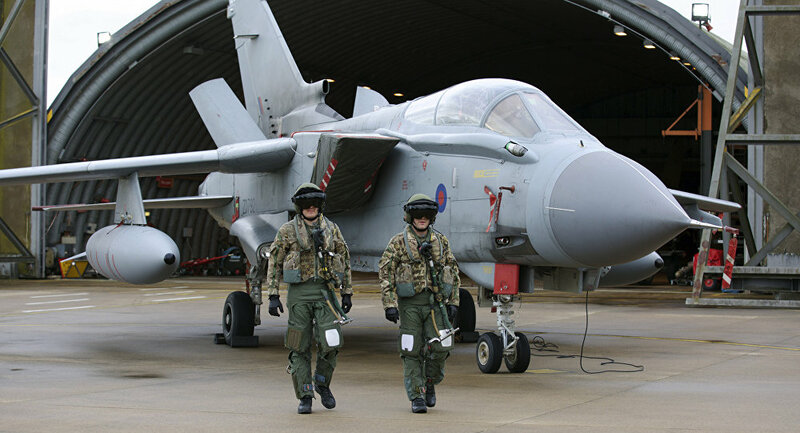 The Royal Air Force in Syria can only deploy Brimstone missiles from older Tornado jets, which carry both Brimstone missiles and Paveway bombs. The newer Typhoons jets drop Paveway bombs and have not been modernized to fire Brimstone missiles. British Reaper UAVs brought from Washington use American-made Hellfire missiles and bombs. The UK Defense Ministry confirmed on Thursday the intention to respect flight safety rules over Syria signed by Russia and the United States, the press service of the Russian Ministry of Defense said in a statement Thursday following the talks between Russian and British defense officials. Earlier in the day, Russian Deputy Defense Minister Anatoly Antonov and representative of the UK Defense Ministry Peter Watkins held talks. “Peter Watkins confirmed the intention of the British side to keep the ‘rules’ of the Russian-US Memorandum of Mutual Understanding on preventing incidents and providing security for aviation during the operations in the Syrian airspace,” the statement said. The statement added that Watkins also expressed condolences over the downing of the Russian Su-24 attack aircraft downed on November 24 and the deaths of the Russian servicemen in Syria.